In the trailer for this episode, we see Daenerys addressing the surviving Lannister soldiers, requesting that they either bend the knee or die. 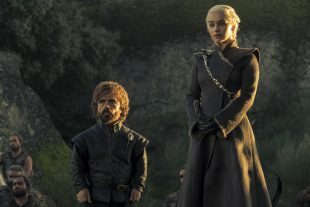 And although Tyrion has been integral to much of her strategy, he looks pretty hesitant about the direction Daenerys is heading in. Dany has already made her share of mistakes, but itâ€™s unclear if her aggressive approach is going to have long term success. Although Dany and Cersei are fighting of the throne, Jon Snow is focused only on whatâ€™s happening to the north in â€œEastwatch.â€ The title of this weekâ€™s episode refers to the eastern most castle on The Wall, which was featured in one of Branâ€™s visions. He saw the Army of the Dead cross The Wall at Eastwatch and has been wanting to tell Jon since he arrived at Winterfell. It seems the message finally made it to Jon, who we see in the trailer explain the situation in Dragonstone. Very early this season, Jon sent Tormund and the wildlings to man the castle in Eastwatch, so maybe weâ€™ll finally get to see the freefolk who have been almost completely absent this season? 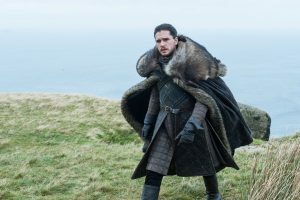 Jon Snow will also be coming face to face with Daenerysâ€™s dragon, Drogon this episode. Although heâ€™s seen them fly overhead, we think this one will be a little more personal. And we canâ€™t help but wonder, will Drogon recognize Jon as a Targaryen?